I think everyone can agree that a commercial, large volume, “natural fiber marketplace” exists in the world today. I think it is also safe to say that alpaca is not currently part of that premier group. At least not in a significant way. So the question is, can alpaca fiber be improved to the level that it will compete at the premier level. I and many others believe it can… and will. There may be a few breeders out there that remember the ongoing “discussion” about the “Value of Crimp” published in Alpacas magazine about 15 years ago. The articles showed a some disagreement in what characteristics should be developed in the ideal alpaca fleece as we moved forward. The one area that there was no disagreement was that alpaca fiber needed to be finer. 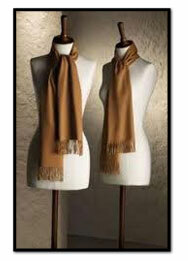 There was no disagreement that our future as a successful fiber industry was to produce cashmere quality fiber. We knew it was possible, as alpaca was found to be of that quality before the Spanish conquests. What I am surprised by is the speed in which improvements have been made. I am also surprised that many alpaca breeders don’t have that vision. maybe it is because so much change has taken place over the past 5 -10 years but for whatever the reason, I think it worthwhile to be aware that we have a purpose and that our future is linked to how successful we are in achieving that goal. We all know what the cashmere marketplace wants. Alpaca can meet that need in more natural colors, with less production costs and other significant issues than what they are paying for today. It’s simply a matter of individual breeders setting a goal and move forward utilizing the tools that are available. I personally believe that we, as an industry, should set our goal to develop our herds to produce at least 6 lb blankets of 18 micron fiber and to hold that production for as long as possible. I think 6 years old is realistic, but longer would be preferred. I established the 6 lb goal because it is roughly equivalent to the density of a 12lb blanket of 24 micron fiber animal today. We have the tools to do better but I believe this would be a worthy first step for us to take. I’m sure there will be naysayers but that’s what helps make the goal worthwhile. Because if it didn’t require effort and planning then everyone would do it. If that sounds plausible to you then the first step would be to identify what is currently being producing within our own herds. Once the starting point is identified then the process of arriving at the destination with future offspring is simply a matter of making the best decisions to move in the right direction. Today, you have three main choices that are proven to help you make the needed changes. Some of you will want to make those changes based upon one, two or all three of the following: first. your own private evaluations and herd assessments, second, others may feel the show system is sufficient to help them and the third tool is the AOA EPD program. Our breeding improvement program is mainly based upon our personal assessment and the AOA EPD program. We do recognize that the show system can be of some help but it falls into third place when compared to the objective data of our main two tools. It would be nice if the show system could demonstrate they are making progress towards our objective. 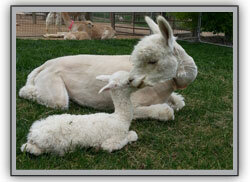 The EPD program is pretty new to many alpaca breeders. Even with their acceptance in all other livestock industries some alpaca breeders still have their doubts. Next, I’ll try to address a few of the most frequent concerns I hear regarding epd’s…. “People Cheat”, “the test is flawed” and the “Australian Alpaca Testing system is better”. One is true, one is irrelevant and the other is false.